Bob Dylan Gucci | Whatcha Find? 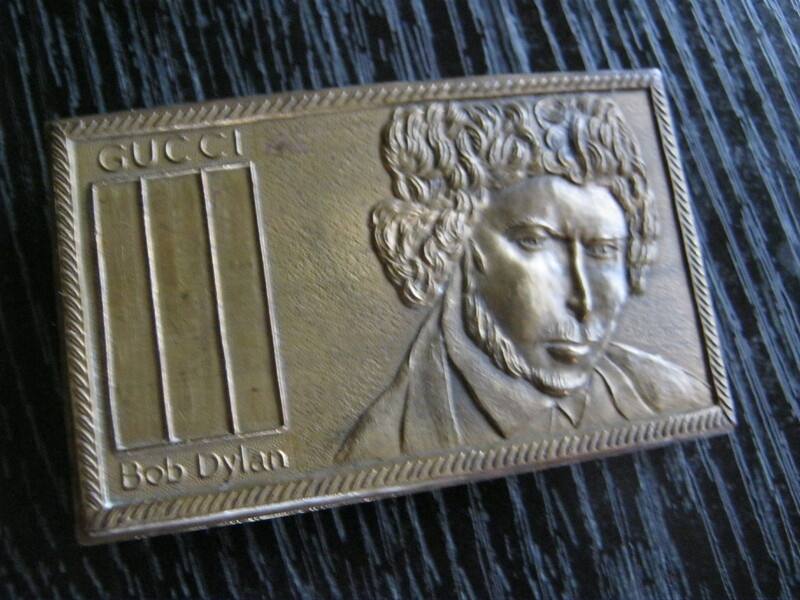 Today we found an amazing Bob Dylan belt buckle by Gucci! From the bit of research we’ve done it looks to be from the 1970’s. Made by Montauk Silver Company, Fairchild & Johnson in England. Amazing condition! While the price was originally $299 we bartered and got it for $99.